Romney has promised a 20% across-the-board rate cut. The part of this cut that affects people making over $200,000 per year would reduce tax revenues by about $251 billion per year. But wait! What about the economic growth this will unleash? That’s mostly mythical, but let’s bend over backwards here. If you incorporate the growth estimate of one of Romney’s advisors, Greg Mankiw, Romney’s rate cuts for the wealthy would only cost about $215 billion per year. Next, try to pick out a set of deductions and loopholes that can be closed to make up for this revenue loss. high earners. All of them. It turns out this would make up $165 billion per year. So even under the best possible assumptions, Romney’s plan would cut taxes on the rich by $50 billion per year. But Romney says he won’t cut taxes on the rich. 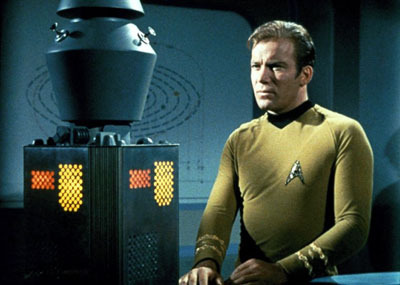 This is the point at which, on Star Trek, smoke starts coming out of the computer and it implodes because it was forced to consider a logical impossibility. Here in the real world, it’s the point at which conservatives desperately start trying to invent clever excuses. Martin Feldstein gave it a shot, but it turned out that he calculated wrong: Romney’s plan can’t work under Romney’s conditions. It can only work if you eliminate deductions all the way down to people earning $100,000. Harvey Rosen gave it a shot, but succeeded only by assuming wildly implausible growth estimates. Charles Dubay gave it a shot, but miscalculated a provision of the estate tax. Matt Jensen gave it a shot, but made things work only by assuming that Romney might eliminate the interest exclusion on life insurance savings and state bonds. This is pretty unlikely, though, since a centerpiece of Romney’s plan is to cut taxes on investment income, not raise them. Needless to say, Romney knows all this. The guy ran Bain Capital for years. If there’s anything he knows his way around, it’s a spreadsheet. So is it fair to say flat-out that he’s lying about his tax plan? I guess reasonable people can disagree, but I’d say it is. There really aren’t any plausible assumptions under which his plan can work, and he obviously knows it. But he keeps saying it anyway. If that’s not a lie, what is? UPDATE: More detail here from Josh Barro. He’s more generous than I am toward Jensen’s critique, but even at that Romney’s plan doesn’t come close to adding up.